Ryder and Felicity are an amazing duo. Both have seen much more in their lives than anyone should and despite seeing all of that, they are not afraid to love. I really enjoyed Felicity's spirit. She was a tough woman and she fought fiercely for those she allowed into her inner circle. Despite her past, she has found people whom she loves and knows that she needs to protect them. The men of Ace Security have become her surrogate family and along with them, their wives and children too. I love how much they love her. Ryder is new to the group and even though he is new, when he first sees Felicity, he can see her for who she is under her tough exterior. He knows that she's hiding and despite knowing that, he pursues her because there is something about her that calls to him and his protective nature. Felicity does not make it easy on Ryder – she makes him work for her trust. Ryder also has to work to prove that he won't hurt her – prove to his brothers that he's there for good. When the danger draws even closer, they all pull together to figure out how they can protect each other. I really enjoyed watching Ryder with his own friends and Felicity, as well as with his new family members. It was nice to see that underneath his rough exterior, Ryder is sensitive and knows how to woo Felicity. I can't wait to see if more of these books come through. This is the fourth book in the Ace Securities series and I am sad to see it end. But in the end, there is a new series coming that I cannot wait to read. Felicity Jones is the strong BFF of Grace, she has been in Castle Rock for about five years. No one has questioned her about her past or her family. She seems to have her life in order until the day she wants the part of the money she gave Cole to help them start the gym. Why doesn't everyone start to question her why she wants to leave? She doesn't want to tell them her secret, she just needs to run before "HE" gets too close to her. Ryder Sinclair comes to Castle Rock to get to know his half brothers. When he goes with his brothers to see what is going on with Felicity, he immediately knows she is running from someone. He wants to protect her, or he will die trying. He wants her to tell him why she wants or needs to run but he will not rush her to tell him. Ryder is beginning to have feelings for her that he has never felt before. He knows that he has to tell her about his past and maybe she will tell him what is going on with her. Can Felicity trust Ryder to protect her and keep her friends safe? Will Ryder be able to keep her safe and let his brothers know he is there to help them keep everyone safe? In the end, will the Anderson triplets accept Ryder as their brother? I love this series and I think Felicity and Ryder might be my favorite. I think you could read these as standalone stories, but I recommend reading them in order, that way you don't miss anything. For reviews & more info, check out our Claiming Grace post. For reviews & more info, check out our Claiming Alexis post. 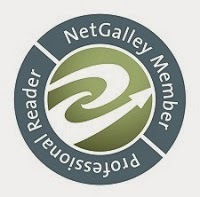 For reviews & more info, check out our Claiming Bailey post. Susan Stoker is a New York Times, USA Today, and Wall Street Journal bestselling author who loves hot alpha heroes. 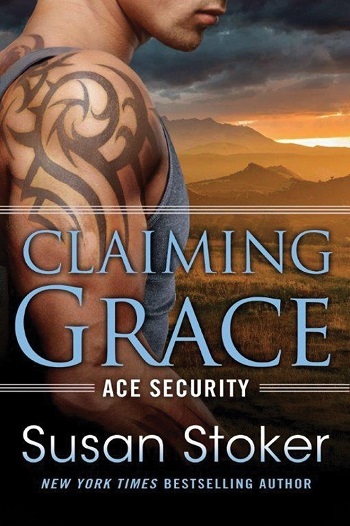 She debuted her first series in 2014, and quickly followed it up with her SEAL of Protection series and her Ace Security series, which includes Claiming Grace and Claiming Alexis. She is addicted to writing and creating stories readers can lose themselves in. Susan considers herself an all-American girl with a heart as big as her home state of Texas. Thanks to her army husband, she’s lived in several different states. Now that he’s retired, however, it’s his turn to follow Susan around the country. Reviewers on the Wicked Reads Review Team were provided a free copy of Claiming Felicity (Ace Security #4) by Susan Stoker to read and review.